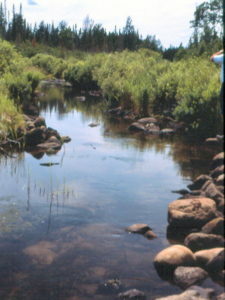 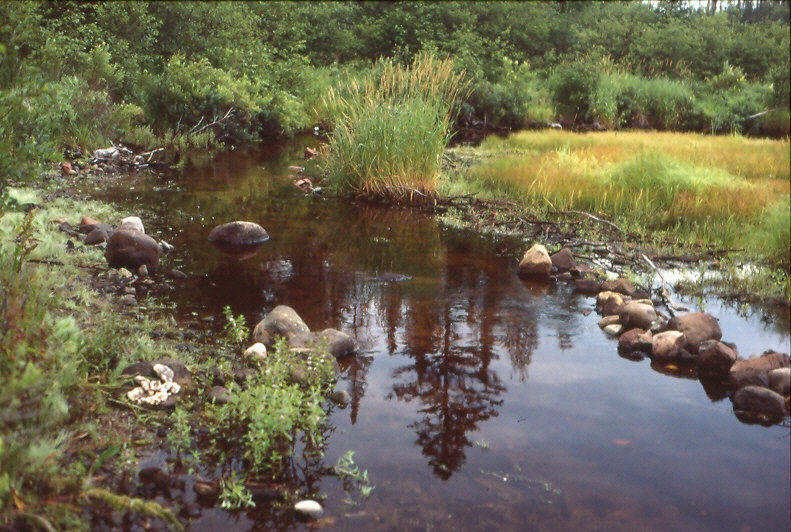 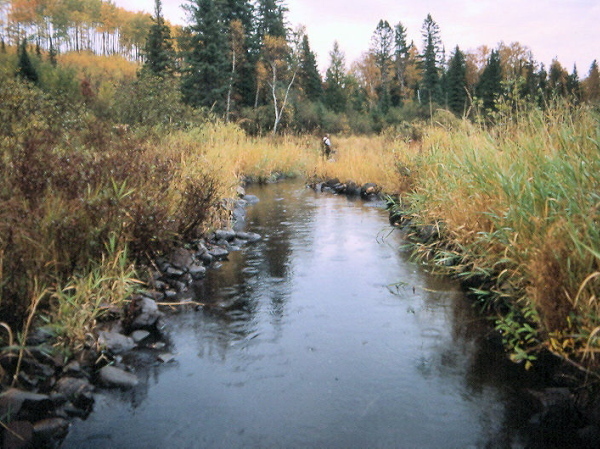 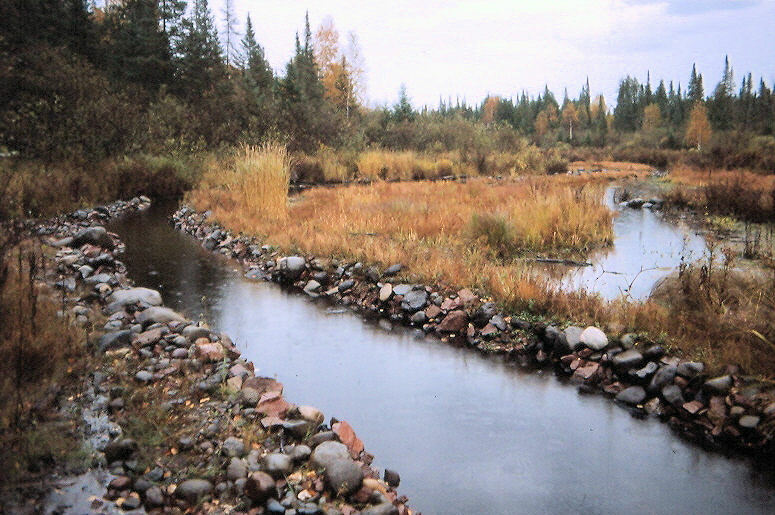 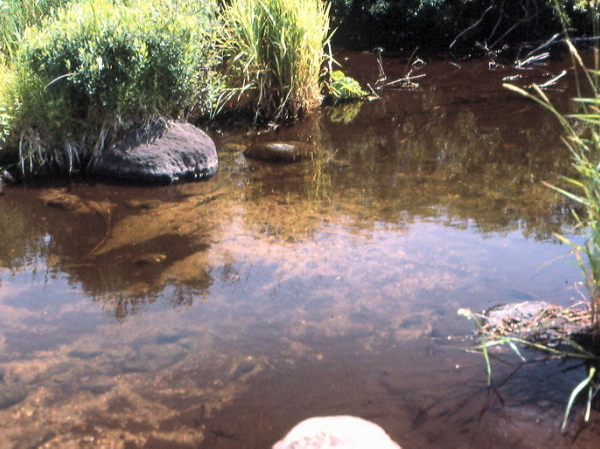 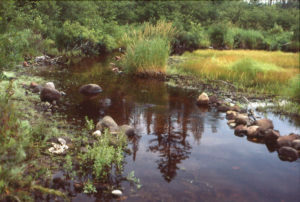 Stream flow was improved in 2015 where the Brule’s west fork flows over the 3 brook trout spawning sites built by the DNR/BRSC in 1994 and 1996 . 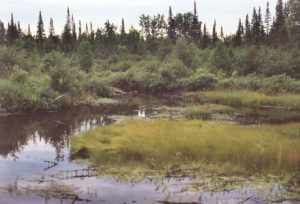 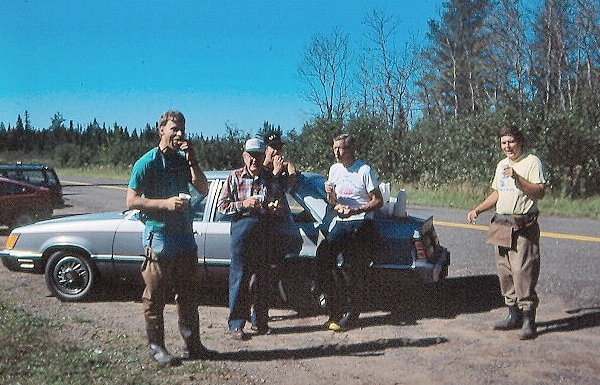 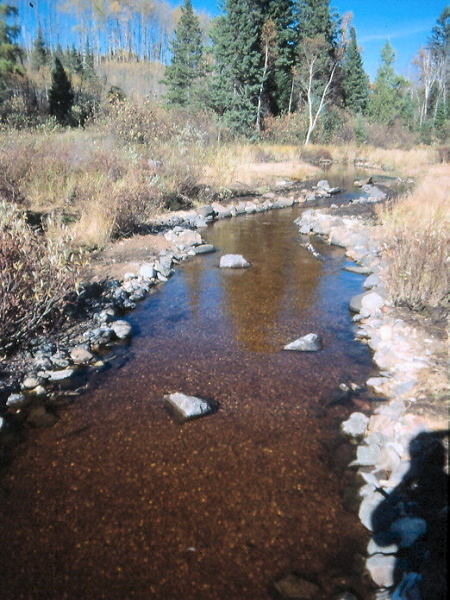 1994 project site is located adjacent to the Highway P parking lot on the West Fork of the Brule. 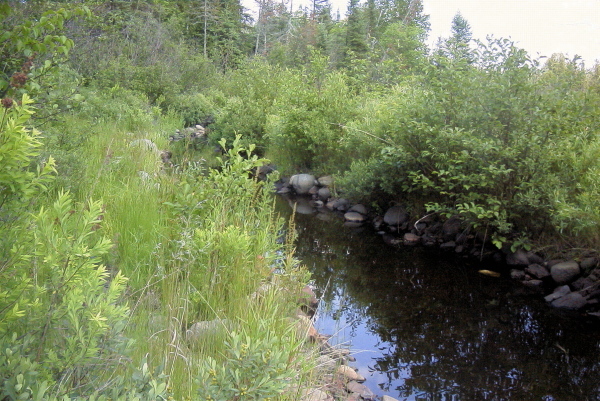 Spawning habitat project (55” long) placed 15 yards of rip rap to narrow stream and then added 8 yards of brook trout gravel (¼ to ½ inch). 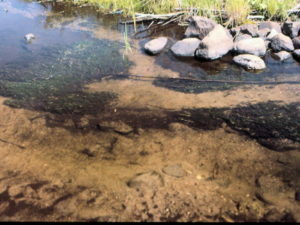 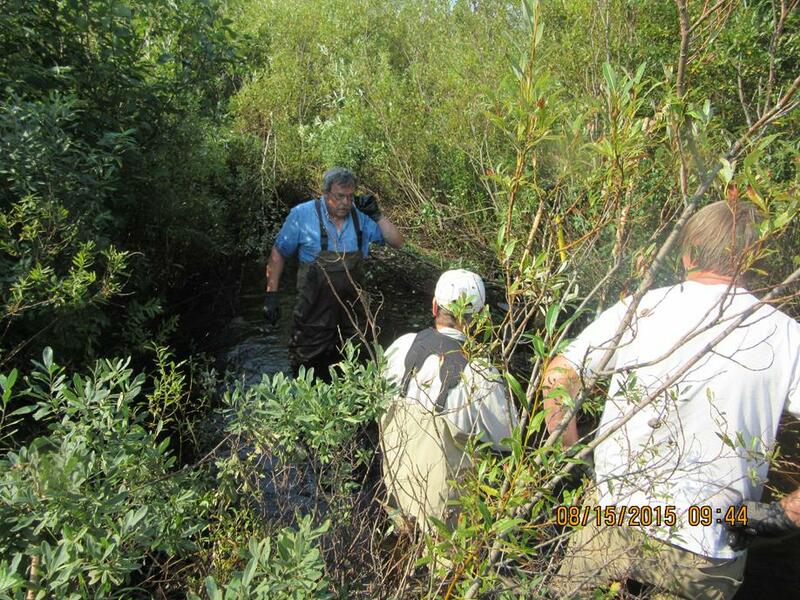 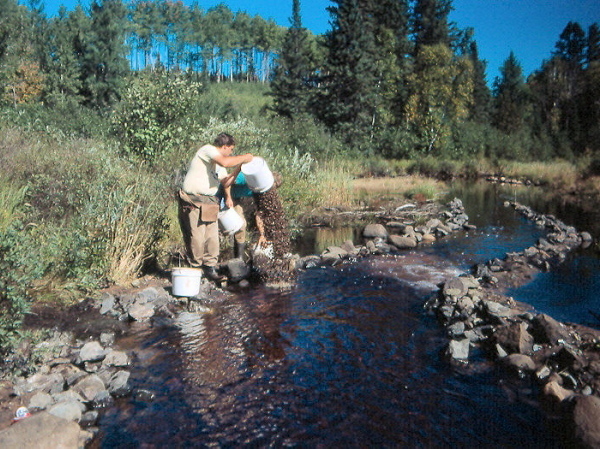 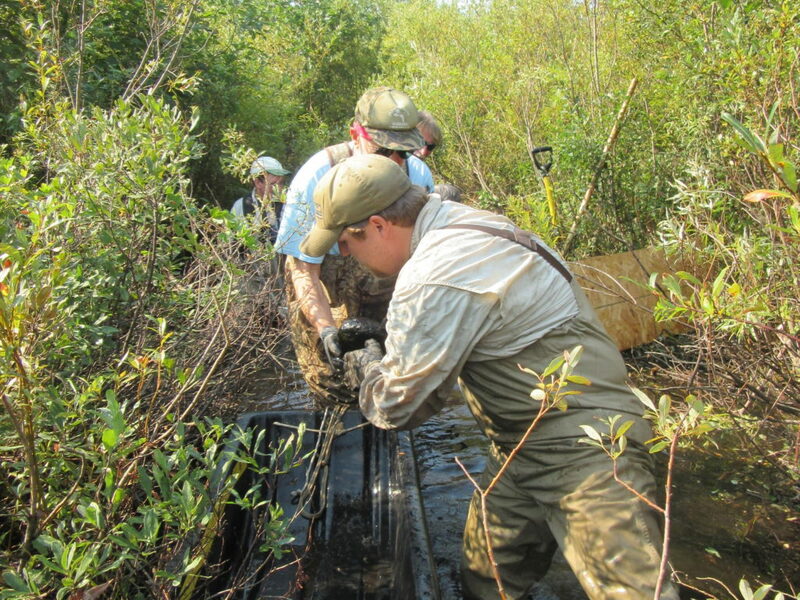 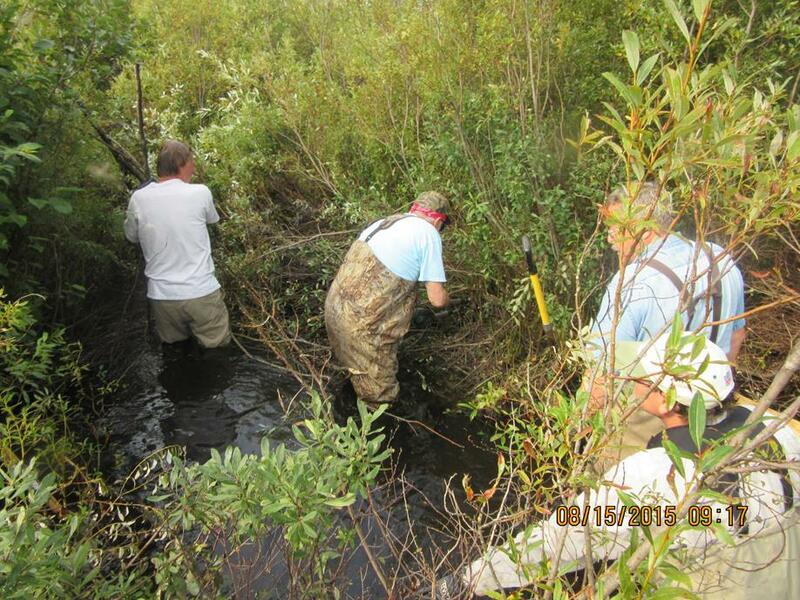 In 1996, Club built 2 additional brook trout spawning structures downstream of the one built in 1994. 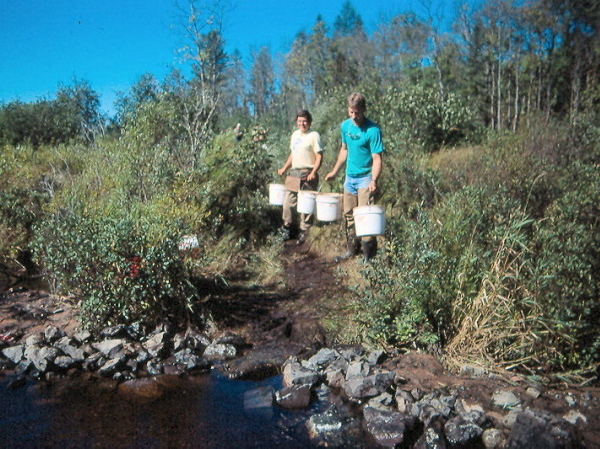 One was 83’ long and the other was 60’. 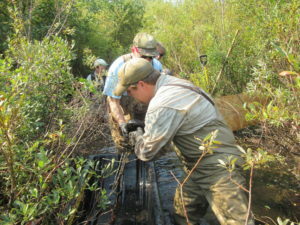 More than 10 yards of rip rap was added to narrow stream and 30 - 40 yards of brook trout-sized gravel was placed in the stream. 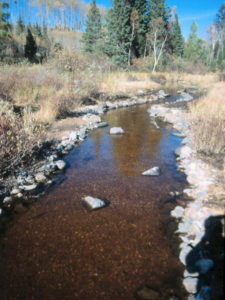 Click on any image to begin viewing the gallery. 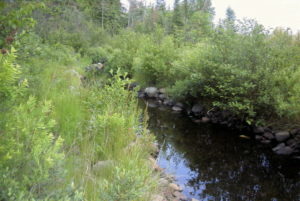 Click on the image or the forward and back arrows to view other images in the gallery.